Gastromotiva’s mission is based on the urge to fight social inquality. We act in three different – but complementary – frontlines. Gastromotiva educates youngsters with limited access to education, opening new work opportunities for them in the gastronomy field; we inspire people, state organs and companies in the battle against social inequality, food waste and hunger; and we multiply life-changing experiences in different contexts. Their main goal is to offer social transformation through food, which they believe is effective instrument of social engagement, material transformation and also of militancy for a more just society. Gastromotiva has four major projects, vocational training for young talents that have limited access to quality education in Brazil – Gastromotiva capacitates them and use their network of chefs and restaurants to allocate them in the work market; the entrepreneurship training which assists the small business located in the communities of Rio de Janeiro and in the favelas. The Refettorio Gastromotiva is where they serve every night 90 homeless and socially vulnerable people – in this project they use food that would otherwise be wasted for not being fit to the final consumer desires, ugly carrots for instance, or out of the pattern expected; and their newest project is the Cook Training with focus in the social gastronomy principles. 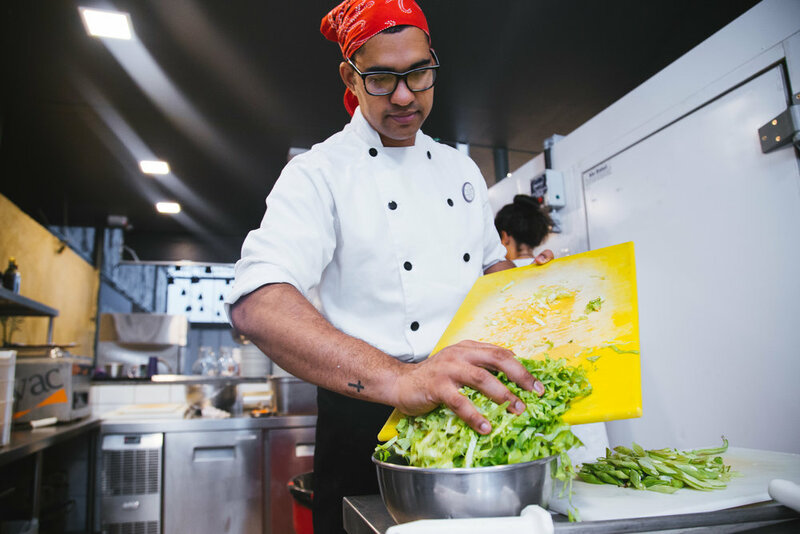 The team at Grand Hyatt Rio de Janeiro has partnered with Gastromotiva offering different experiences to enhance the cooking skills and knowledge of our cooks. For the past year we have had different opportunities to share experiences, we have received Hyatt’s chefs in the Refettorio Gastromotiva to offer classes to our students, and also have sent our students to learn more in location. The Hyatt Community Grant will be used to expand the impact of social gastronomy in the market, the communities around Refettorio, and in the lives of other social projects. More specifically represents more vacancy for young men and women, unemployed, to join their training and be sent to the work market as trained cooks versed in social gastronomy techniques. The grant allows Gastromotiva to have a minimum of 9 more students for 3 months (285- hour course), helping them to increase the reach of the positive impact we want to provide to the Brazilian society. Learn more about Gastromotiva HERE.